What is Get Deaf Aware Online? Are you looking for flexible deaf awareness training that offers engaging and valuable content perfect for your specific business needs? Get Deaf Aware online is CPD Accredited. 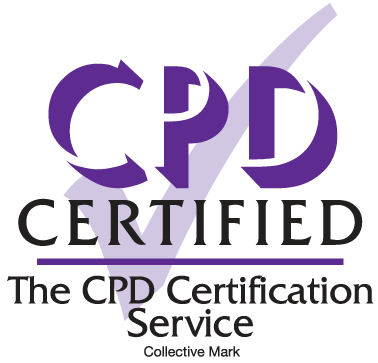 Continuing Professional Development (CPD) accredited is an assurance in terms of the training standard and the level of learning offered. Get Deaf Aware is proud to exceed the standards and benchmarks required to receive such a prestigious accreditation. Get Deaf Aware Online is training aimed at organisations and individuals who want an introduction to, and to gain a basic understanding of deaf awareness in the workplace. Offered exclusively online, the course consists of scenario based training and easy to follow information enabling instant benefits. Get Deaf Aware Online offers flexibility in terms of training scheduling and enhanced accessibility for all employees to access 24/7. Taking only 45 minutes to complete, whether you’re looking to get all your staff to complete the training in a short timeframe, or if you’re looking to stagger it over several days, or weeks, you have the ability and freedom to make it work for you. Get Deaf Aware Online is accredited by the CPD Certification Service for the quality of its training materials. Find out more here.